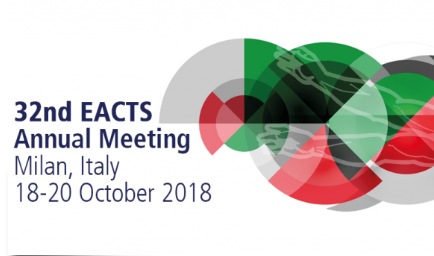 Silicon Valley, October 18, 2018 – The clinical experience with the first 5 Mitral Touch implants enrolled in the ENRAPT MR Trial will be presented today at the EACTS Conference in Milan, Italy. Prof. Dr. med. Klaus Kallenbach of HaerzZenter Luxembourg will also provide the first formal presentation of the Mitral Touch Sizers, a pair of surgical tools that complement the procedure and provide surgeons with their first tool to predict annuloplasty results without entering the heart. His presentation, “Epicardial Annuloplasty: Introducing a Beating Heart Option for Surgical FMR Repair,” will occur today at 12:15 pm during the New Technology Meets Common Practice session (room location: Auditorium). Prof. Kallenbach will also present 6-month follow-up results from the ENRAPT MR Trial for Epicardial Annuloplasty Repair during the New Solutions in Mitral Repair session on Friday the 19th of October at 15:41 pm (room location: Michelangelo Room). “We have anticipated the 6-month follow-up to answer fundamental questions of durability of the Mitral Touch. These patients have very large hearts and were in great need, not only for bypass surgery, but also some relief of their MR. We are proud to have Prof. Kallenbach share these results with the cardiac surgery community. Cardiac surgeons and their patients deserve less invasive options like the Mitral Touch to address functional mitral regurgitation.”, commented John MacMahon, CEO of Mitre Medical Corp.
Mitre Medical Corp. is a medical device company with headquarters in Silicon Valley. The focus of the company is the development of innovative solutions to treat structural heart disease, including the Mitral Touch® device. The Mitral Touch device is currently not approved by the FDA and is not CE marked. The Mitral Touch Sizers are cardiac surgical tools and are presently in physician preference testing in the US.